Had a change of direction with the brewery control bits ad pieces, the biggest realisation is that it's important to migrate slowly to something new. The biggest problem with moving to something different is it could turn out to be very fragile and have stupid defects. 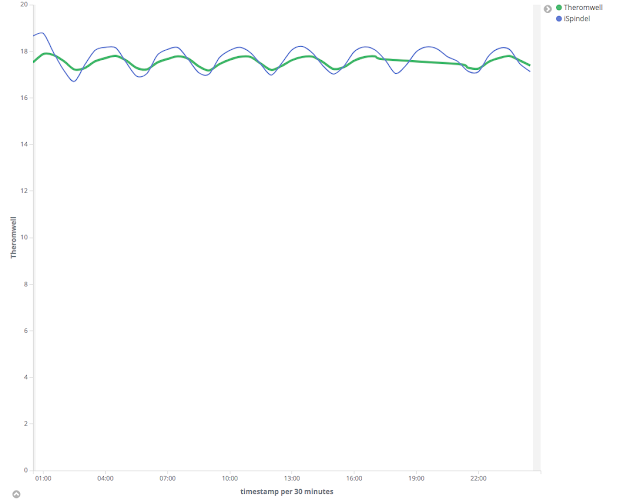 I had been using Kibana + Elasticsearch re-publishing the multicast readings, however the memory footprint of Elasticsearch is high and the Kibana on a raspberry pi is a non-started - which means leaving the main laptop on. Grafana and Influx database appear to be a much lighter foot print and it's much more responsive than Kibana/Elastic search running on separate machines. It will be interesting how the stability of this turns out.